For those who noticed my check-in on facebook at SFO, there was no small bit of surprise and puzzlement as to why I was apparently in California. I was lucky enough to make a ten day detour back to the homeland for a family reunion in Hawaii and my sister’s wedding in Napa. Tokyo-San Francisco-Kona-San Francisco-Tokyo-Hong Kong, all on frequent flyer miles. More about miles another time. After two months on the world adventure, and having about ten days to relax without having to find a place to sleep every night, I’ve done some reflection on the first stages of my journey. Equipment: My equipment situation has been fantastic. I haven’t met anyone yet with less gear than I have, and most people have WAY more than me. My Osprey Farpoint 55 Liter Travel Pack has been stellar. When zipping off the day pack and zipping up the primary backpack straps, the main pack essentially becomes a duffel which is JUST small enough to carry on along with the day pack – meaning I never have to check bags. Not only have I packed light, but the gear itself has been perfect. Just the right amount of clothing and equipment have made packing and moving easy and convenient, a major plus. Connections: For those who have been following along, making connections has obviously been a highlight. I’ve been able to meet and connect with some great people who have really made the adventure so far. 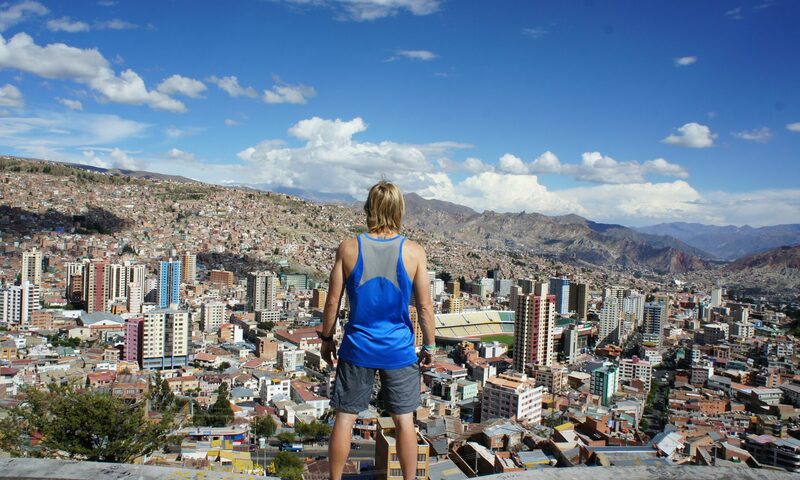 Being Chris Healy: When you’re traveling the world alone, you get to choose who you are every day. While there are plenty things about myself I want to change and improve, there are also things that will never change. So far on this adventure, to put it simply and frankly: I’ve been happy with who I am. Having a plan: I’ve not really had a plan in most of the places I’ve been to so far. It’s been getting there, showing up and figuring out where I’m staying. Beyond that, I’ve had to figure it out on the fly from there. I think I’ll enjoy the experience more with a better idea of what I’m going to do once I get there. Spending money: First few countries were not good on the travel budget (although they were three of the most expensive countries in the world). I need to spend more time learning the things I want to learn. Why do I still have such a never-ending to-do list? I thought it was going to be simpler. I still need to figure this out. Coming up over the next two months are Hong Kong and Beijing, Malaysia, Singapore, Thailand, Vietnam and India. Life was easy for the past ten days. Back to survival mode.. I feel fortunate to have spent most of those ten days with you! Your brothers, nieces, nephews and cousins were thrilled, your sister was shocked and grateful, your parents were relieved and happy and we all enjoyed spending time with you. See you in Vietnam! I am so excited to see where u are and how you are doing! I just got back from India a few weeks ago and I feel like I learned a LOT about myself! It was quite amazing! Stay safe and have fun!! Just wanted to write and let you know that I’m following your travels quite regularly and am enjoying reading about it all, along with seeing the pictures. Looks like it is just an amazing experience. Thanks for letting me feel like I’m on the journey with you. Laubs! Good to hear from you bro and glad you’re following along. Hope life as a dad is great so far! Give Little Laubs a high five for me! It was the best way to celebrate our family and my “105th” birthday to have all of you in Hawaii with us. Stay safe and keep us posted as to your whereabouts. We check your site daily for news. Love you and are proud of you. We are proud of you and loved the new album. Looking forward to having the next big family outing at Tahoe next year. Even Gramma and Doug got to have a brief visit with you…SO glad! You’re doing just fine on this adventure. Love the introspection too. Just like Socrates said – about the unexamined life and all that. Love you.